The National Swedish Television have sustained that Sweden's credibility is in serious doubt worldwide, and they put the blame on Julian Assange, anew presented as "the" enemy of Sweden. The true is that the worsening of Sweden's credibility is the absolute responsibility of Swedes themselves, included the producers of this untruthful documentary. Above: Gil Elvgren's famous arte piece "Come on honey! Blondes have more fun!!" I published this article first in April 2011, due to the biased documentary on Julian Assange exhibited in the (Public service) Swedish Television. It was obvious that such documentary would hurt Sweden. And this is sad, because Swedes are a noble nation, and their international prestige does not deserve hara-kiri like that from their own public service. The article was never edited and language issues were not addressed. But the facts referred tell with the grammar of truth. And this is the central issue in the debatable, and sensitive, Swedish case against Julian Assange. Among the various unprofessional things in the documentary it is found that the opinions of Naomi Wolf – the notable American writer and feminist – are freely, and preposterous, interpreted by a lecturer at the local university. But Naomi Wolf was never interviewed herself, nor her texts shown. Naomi Wolf is a guest columnist in Professors blogg and her texts on the issue taken up in the documentary were fully available, also otherwise. Both one of Naomi Wolf's articles and Andrew Kreig articles in the Professors blogg on sensitive issues around the Assange affair had been previously censored in Sweden (and by the Guardian). I would advise the readers to see excerpts of the documentary own dialogues and background comments (index found in Rigged documentary on Julian Assange in the Swedish National Television. Contents & Links to Parts I - V) before making an opinion on this. Otherwise the point with this article cannot be understood. Lastly, the wrongdoings criticized here are accountable to the signalled politicians and stream media journalists. It is all in the official or mainstream media, and in the political level. The Swedish people as such, inclusive lawyers and a number of professionals in the law system and independent journalists, is not to be held responsible. In fact, there is no such a “massive” active intervention of the Swedish public in the affair Assange. However - around this issue, viewed as many (as presented by the establishment) as a "critic to Sweden" - there exist also a passive type of alienated behaviour from the average public; an uncritical, scare or chauvinist-motivated adherence to the version provided by the authorities. Yet, the international forum should view the commented official stands more as an unfortunate episode in the Swedish international doing. In contrast, some Swedish traditions in those regards have been standard to follow by many nations and, hopefully, these traditions will at the end prevail. The Swedish establishment's campaign against Assange and WikiLeaks has disclosed in front of the world a different face of official Sweden. Of what it is behind the sympathetic IKEA mask, as Michael Moore suggested, or what ideological reality is beyond the easy, non-debatable routine declarations on human-rights posed in international forums. What is really hidden in the unseen shadows of the beautiful nature Swedes inherited from Earth? Behind a publicized system of neutrality, harmony, democracy, equality and consensus, there was apparently a system of subtle gender discrimination, of power abuse, of irregularities in the judicial, police and legal systems; a cultural dictatorship inspired in a fascist-feminist ideology characterized by a sheer discrimination against every voice opposing their anti-scientific, anti-nature, anti-social and highly prejudice message. The appealing system in Sweden has been notably reduced after a law of 2008 (the so called EMR reform) devised to curve down the number of cases resulting on appealing at higher courts. That secret and treacherous political behaviour from the part of top officials in the main Swedish political parties - acting shameless in favour of foreign powers while sacrificing the interest of their own Nation - was later disclosed to public by the WikiLeaks revelations on Sweden. The "Swedish neutrality” – by which so many profitable weaponry-businesses could have been done on Sweden's behalf during decades in the Third World – in fact it did not exist, it was a blunt lie. And all that with the accomplice silence of the Swedish mainstream media which have hijacked the noble profession of journalism and have deprived it of its fundamental ethics. The above are some of the facts that have made the world to question and condemn the Swedish system. The bad name of Sweden in those regards is the responsibility of such public Swedish persons and/or politicians and journalists, such as the producers of the State-owned Television's documentary here commented. These have produced new evidence confirming not only the picture of a non-objective and truth-discriminatory praxis in the Swedish media reports of the Assange case, but also the picture of a country politically sold to the interests of a super power. This is a documentary that CLEARLY contributes to the deterioration of the prestige of Sweden abroad. 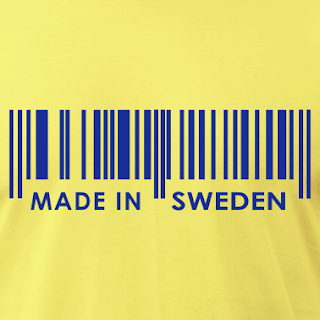 Thanks to it, very little is now left abroad of the notion of a democratic media in Sweden. The Swedish Television has shot Sweden in the foot. It is the system which is cracking away, it is international politics Made in Sweden the one severely questioned, it is big business, big NATO allegiances, which have put in jeopardy the "neutrality" and humans right championship credibility. Ensuing, the strategists of the Swedish Psychological Warfare command are forced to issue a new social-psychological trick: The blame of all the international prestige-losses of Sweden is to be put on Julian Assange. And just to maximize effectiveness with one shot, it should state “the founder of WikiLeaks Julian Assange”, so supreme strategic mentor USA will also get a bit of what they have asked for to their marionette Swedish politicians and journalists: the destruction of WikiLeaks. The Swedish National Television SvT shows a new propaganda program on the Swedish case against Assange, this time with the title “Julian Assange - World's love affair" (Julian Assange - världens kärleksaffär). “How could the WikiLeaks founder Julian Assange get the world to question Sweden's credibility”? [”Hur kunde Wikileaks grundare Julian Assange få världen att ifrågasätta den svenska trovärdigheten?”). As the program announces it will partly focus on the Swedish media responses to the events around Assange it may have directly relevancy to main criticism which Professors blogg have rise in several analyses, among other in the article Does Sweden Inflict Trial by Media against Assange? The program will have several broadcasts during the next days and SvT had promised to send it in SvT-Play (on-line) immediately after the first sending. However, the above referred presentation would do it fairly enough in disclosing principal aims of this new effort of the State-owned media in their campaign against Assange and the efforts to mobilize the Swedish public behind Sweden (USA) positions out of national sentiment. Chauvinism in other words. The main issue in such description is that the blame of the abrupt decrease of Sweden’s credibility is put on Julian Assange, anew presented as "the" enemy of Sweden. In fact, Julian Assange is instead the victim of the scandalously, unfair, and disingenuous proceedings from the part of Sweden both officially through direct interventions of the Swedish government, the irregularities in the legal procedures and the Swedish prosecutors behaviour, the highly biased – and in that sense illegal - police investigation, the Swedish media campaign against Assange, the Swedish journalists’ and fundamentalist-feminists' anti-Assange social-media campaigns (#Prataomdet), the Swedish political parties, the Swedish blogosphere, etc., etc. There are all the above institutions and organizations which have day after day shown an incredible disrespect for the human rights in the case Assange. THEY are, no one else, accountable for the unfortunate and abrupt decreasing of Sweden’s credibility in the world. The main problem for this phenomenon is not juridical (the case of Sweden Assange is absolutely political) neither legal-cultural (consideration of sexual offences in different cultures). The problem of the Swedish credibility is instead of a political nature, and the worsening of that credibility is the absolute responsibility of Swedes themselves. It has to do for instance with their lying to the world – particularly ancient allies in the Third world – about a neutral tenure in the international affairs while in secret the Swedish governments have been in the past years implementing agreements with USA intelligence services, with the military corporative complex, and directly with NATO. Of course now it is all in the open, but it was AFTER that WikiLeaks disclosed partly the secret agreements between Swedish officials and American counterparts, and partly the secret instructions of USA diplomatic representations to the Swedish government. This image of Sweden as a marionette government has been worked out by the Swedes themselves. And not only by this and the past government. A main responsibility is on the Swedish media which has never - in a solid or consistent fashion - criticized the above behaviour. This more aggravating when considering that they kept silence even concerning such treacherous behaviour, government officials acting behind the back of Swedish institutions - nothing less the Swedish Parliament! But this did not seem to worry Swedish journalists. They have instead manifested a sick obsession around issues of a broken condom and other aspects of the like. Who would believe in the seriousness of that media? 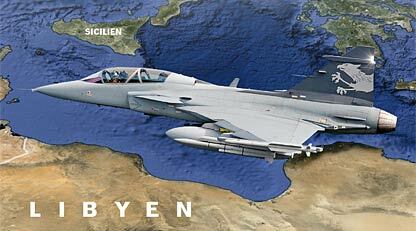 Who in the world would give credit to the Swedish political parties which on one hand they say are for “neutrality”, on the other hand they send Jas Gripen fighters to Libya under USA or NATO command, yet on the other hand they say those aircrafts will not participate in bombing, and yet on another hand (the Swedish many hands) they arm the aircrafts with air to ground missiles? Who in the world would give credit to the so called Swedish “Left Party”, a heir of the Communist Party, which is now behind both a prospective bombing of the civil population of Libya and the hijacking of the Libyan oil from the part of corporative-capitalists and other multinationals in which Sweden might have or not have own interests? Who would believe in the Swedish establishment that on one hand scorn the right-wing Swedish Democratic Party (Sverigedemokraterna SD) for having only one narrow political-issue (immigrant policies, which SD strongly opposes) while the world witnessed that it was just SD the only Swedish party which opposed in the Parliament the military intervention of Sweden in Libya and did so consistently with an announced foreign policy argumentation that nothing had to do with their stand against immigrant policies? Who in the world would give credit to the Swedish radical-feminists which have orchestrated Anti-Assange campaigns such as #prata om det (Talk about) through lying to the Swedish and the international public about the purpose and actual organization-steps of such campaign? Who in the world would give credit to the Swedish Pirate Party which on one hand makes a political profit of transparency and defence of integrity and on the other hand treasons the transparency and integrity cause of Julian Assange and WikiLeaks, and also indulges in legitimate the social-media #prataomdet-campaingn against Assange orchestrated by the fundamentalist-feminists? Who in the world would give credit to the Swedish social democrats which on one hand in every international forum make the highest sounds in adhering to human rights, declarations against torture, etc., and on the other hand they have delivered in secret political refugees in Sweden to the CIA (the so called rendition flights from Swedish soil) in order to be transported elsewhere to torture, or death? Who in the world would give credit to the Swedish media and journalist’s duck pond which in the main only repeat the official versions of the authority in power? Yes, the Swedish credibility, as said in the SvT documentary, has now decreased in the world. But this credibility was very high in the past, when Sweden was run by solid and honest politicians of the calibre of Olof Palme, Pierre Schori, or opposition leaders as Gösta Bohman, Olla Ullsten, Lars Werner, etc. When among other the state-feminism ideology had not been yet officially imposed through a coup promoted by radical-feminist cohorts organized around the fascist-feminist organization "Roks" and implemented particularly by the social democratic politician and minister Margareta Winberg (she declared in the documentary "The gender war" that "Roks analyses and the Swedish government analyses are in complete agreement" and that her propositions at the Persson's government were plainly accepted even if she would consider that members of such government did not know or did not understand what she did, what she meant with those propositions, what they were really about!). When Sweden had not yet been sold to the multinational Corporative-world. When it was still the period of a "Swedish model" to be praised by many in the world. For it was not only and alternative ideological-economic and social model, it was also an effectively functioning model. It was the time when the foreign visitor saw reliable trains and buses under Swedish management run according to schedule, when the health care at the hospitals provided health care without fatal delays, when the newspapers printed the truth, when Sweden championed solidarity to democratic freedom-fighters of the Third world, when solidarity among people was inn and egoist-individualism was despised. In sum, when Sweden followed their own national public interests and not those of the new entrepreneurs and foreign powers to which the country was successively sold. Their low culture level was applied as official Sweden cultural policies making possible for mediocre become national stars, for Robinsons and other silly programs to replace dignifying Swedish cultural expressions; They favoured the Stureplans pseudo jet-set, the Evas Lungren s pseudo-science; they in sum closed the public demonstrations squares to be replaced by hyper-filtered "debate" articles in the establishment's mainstream press. They shrink the national brain of a full country. THEY are the responsible for the deterioration of the Swedish prestige abroad, and they became rich and prosperous in the process. They are the establishment and the foreign superpowers lackeys. They are the “Bodströms samhället” and the spying on their own citizens on behalf of such foreign interest; They are the inventors of pseudo diagnoses for researchers, psychologists, "therapists", "coachers" and private psychiatrists to become rich on the ignorance and consensual compliance of the docile and abiding Swedish public. All that, and all the above that, it is what truly makes the pile for Sweden’s name-deterioration all over the world. The world had started to look at Sweden with perplexity, long before the breaking news about a broken-condom user hunted by the Interpol, figuring in its top-red list at the request of Sweden. To blame for all those Swedish own doings, and to the huge losses in Sweden credibility to Julian Assange or his organization WikiLeaks, it is the most stupid thing among all the stupid things I have heard from the part of Swedish journalists. Sweden's credibility can be recovered immediately by making an independency exercise and take back the false accusations against Julian Assange. Otherwise history will judge Sweden as US moppets.